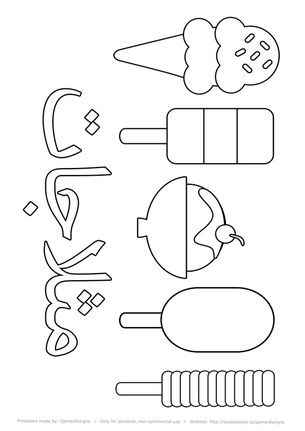 Here you'll inshaAllah with time find some simple things I've made (sometimes with the help of clipart-images, unlike my other print art that are available for order) that you can download on your computer and print out on your own, for free. In other words - printables! The printables are only meant for personal use and not for commercial use. To download this, click on the file below the picture of the chart. 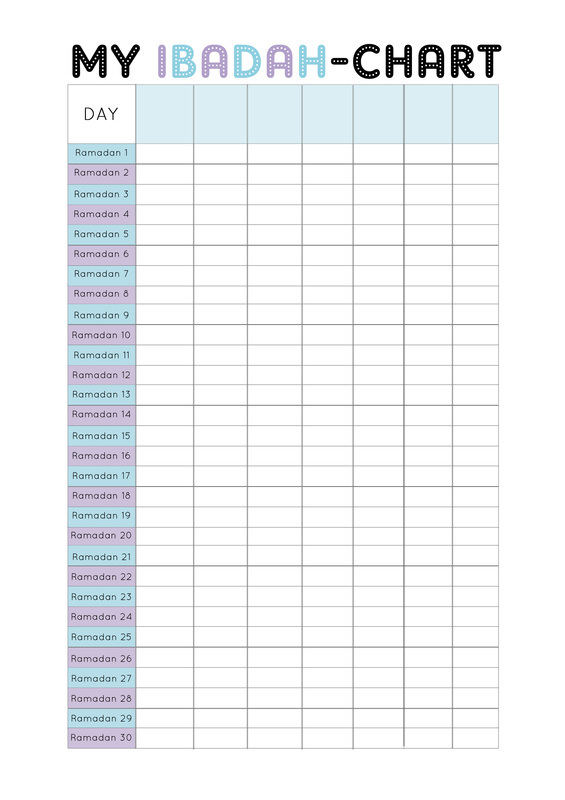 After printing, you can write down different "tasks" to do during Ramadan in the blue boxes - for example, reading Qur'an, praying sunnahprayers etc - just anything you'd like to.